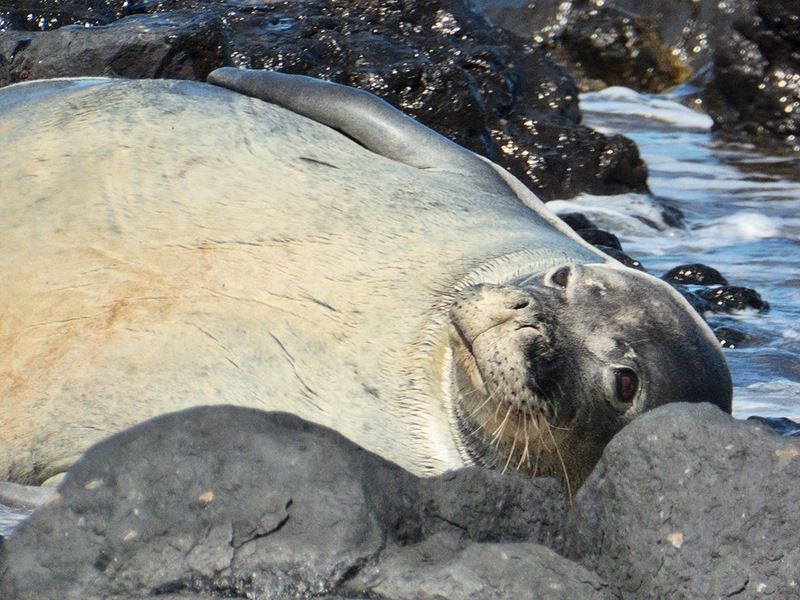 I don't know which got more attention today: the big yacht parked in front of our house, or the endangered monk seal sleeping at Kam III beach. We get big private yachts passing through from time to time, but A (the name of this ship) has to be the biggest we've ever seen. The unusual shape has been part of what is keeping everyone talking (click HERE for the wikipedia entry). 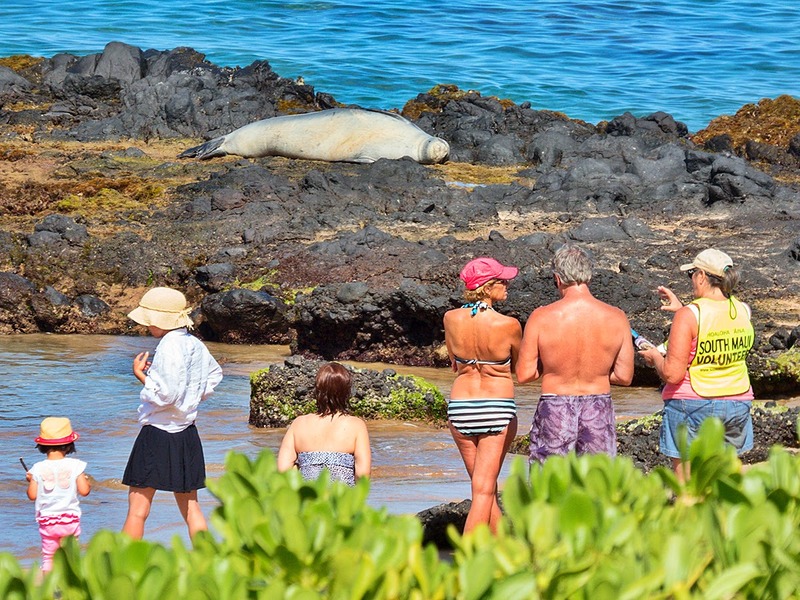 Our endangered Monk Seals also get a lot of attention when they stop for a snooze, and this gal was no exception.